Following an amazing 5 sessions of general conference, we were also blessed to witness a baptism in the Butterfly ward. The first baptism in 2 1/2 years!! It actually caught us off guard this last week when we got a call and the mandarin sisters asked Elder Falk to baptize a Mandarin girl he had found just before I got here. We had seen her at church a few times but we had no Idea it would be this soon. It was not our baptism but it was a ward baptism! For our investigator Gary, well he is moving along Fantastically. He was having some hard times after last week when he received is baptism commitment, he was feeling baptism is to fast. After bumping heads a little with our ward mission leader over what to teach him we came to a fantastic compromise and taught him an awesome lesson and the spirit was very strong. We helped him overcome some big concerns then recommitted him to his date of May 11th. After conference he smiling definitely feeling the spirit. He will get there. Other than the part where it was nice to see all the missionaries in the zone and get to spend all day in AC. Conference is sadly something that I know I took for granted before my mission. Now that I have a more clear understanding of our Apostles and Prophets role in Gods majestic plan, I am much more in tune with the spirit. General Conference is a true feasting upon the words. This time though from the unknowing eye you wouldn’t think the Our Leaders shared any crazy revelation that would shake the world. BUT THEY DID!! The words they shared, if truly taken to heart and followed with exactness, would shake the world. We would see such an outpouring of Gods blessing, we then might be worthy enough to form Zion. Cause its the quality of Gods saints which is preventing us. The words they shared get down the core problem of every single sorrow our world faces. People ask “if God is real why does bad things happen”, well He just gave us the cure so lets take it. Lets all become the disciple we are destined to be. Lets the Shake the World. 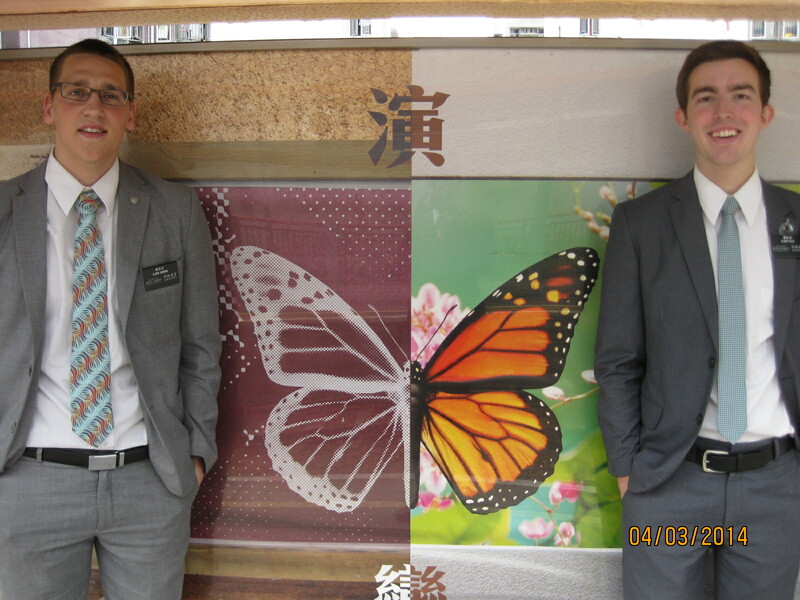 This entry was posted in Jared and tagged Apostles, Baptism, Butterfly Ward, feeling the spirit, General Conference, happy, Hong Kong, LDS, Missionary, Mormon, outpouring of blessings, Plan of Salvation, Prophets, shake the world, Spirit, teach by the spirit, Zion by shalesecordon9. Bookmark the permalink.